More than 250,000 professionals use Right Inbox every day to increase their email productivity. Boost your productivity. 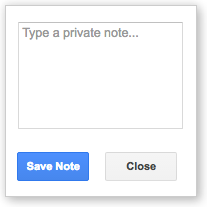 Add a reminder to an email, get notified when you need. Don’t lose track of important conversations. An excellent tool for a cleaner inbox. A proper way for follow-up emails. In the first week of using Right Inbox, we were able to contact 2 prospects who were in different time zones. Both converted into customers. Great service! As an entrepreneur and small business owner, I find Right Inbox to be a game changer and I don’t know how I ran my business without it. Right Inbox allows me to completely control the flow of conversations with my clients. I never have to set reminders to follow up with people – I write my follow up email now and schedule it to send later at the time they’ve asked me to follow up. Even if something immediate comes up that demands my attention, I never miss a follow up. 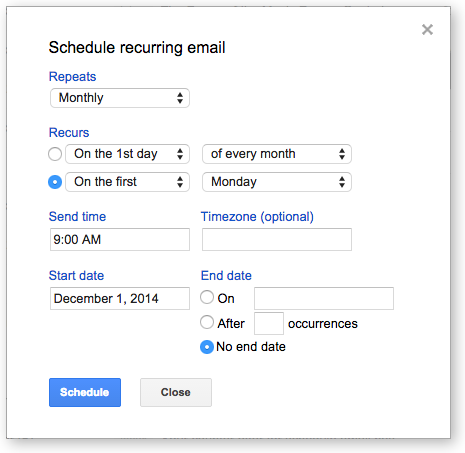 The recurring email feature is also invaluable if you need to send regular meeting reminder emails. Thanks to the team at Right Inbox for helping to make running my business easier! I can’t recommend it highly enough! Amazing product worth and easily worth its price. I now respond to e-mails immediately, sometime just to say I am too busy for a full response today but will get back in X days. And with the reminder I am confident I will. Right Inbox for Gmail is just the right tool for sending perfectly-timed email. Whether for catching people at peak hours, or just remembering to send an email on the right date, Right Inbox is easy to use and incredibly memory-freeing! Amazing productivity tool! Has worked for me without a hitch. Allows me to schedule emails, and set reminders to myself so that “Not right now” emails never get lost in the shuffle & I don’t have to “come back to things”- I can take care of it when I’m thinking about it. The recurring emails and reminders is a lifesaver for repetitive sendouts. It is basically now a reminder for my clients, and makes me look very organized. Seriously cannot live without this extension. This is the single most important extension I have. Super easy, configurable and just makes life so easy. 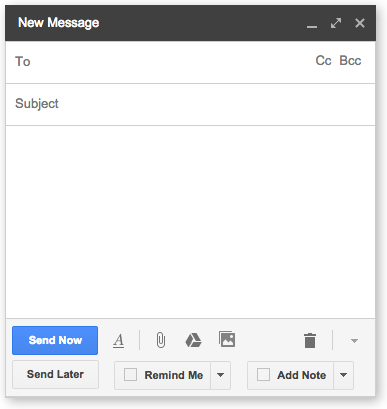 With Right Inbox, there is no need to create a to do to follow up with a specific email. I simply set a reminder and I forget about it. BRILLIANT! Unique features packed into a great everyday productivity tool.